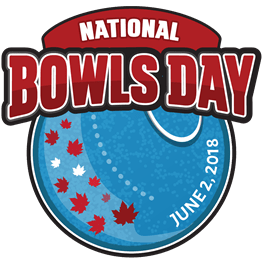 This year National Bowls Day will be held Saturday, June 2, 2018 as this will be the 2nd annual Bowls Day in Canada. After a successful Bowls Day in 2017, Bowls Canada Boulingrin is excited to make the first Saturday in June an annual Bowls Day across the country. Last year multiple Clubs from across the Province participated in the day. Clubs are able to register with Bowls Canada to access free resources and promotional material, as well as the opportunity to win various prizes. Bowls Day offers clubs the chance to try new and innovative strategies to raise the local profile of their club and attract new bowlers to try their programs. Clubs can register their event with BCB on the official Bowls Day webpage. Bowls Canada Boulingrin (BCB) is the governing body responsible for lawn bowls in Canada. The BCB mission is to advance the sport of bowls in Canada. For more details on Bowls Canada Boulingrin and the sport of lawn bowls, visit www.bowlscanada.com.